Probably the first shower those lame little cause deprived hippies have had in months. Anyone else think the first pic had a ninja turtle in it at first? 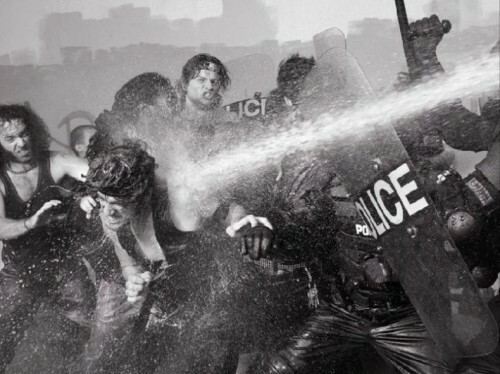 I’d riot against the Police. I’d riot just so no one had to hear a song from Sting again. Bottom guy in the top picture looks like wolverine IMO. 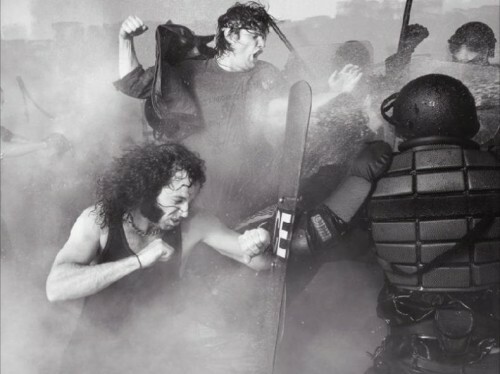 Those police officers really hate Megadeath. So what band is this really for? That guy has Epic Chops.